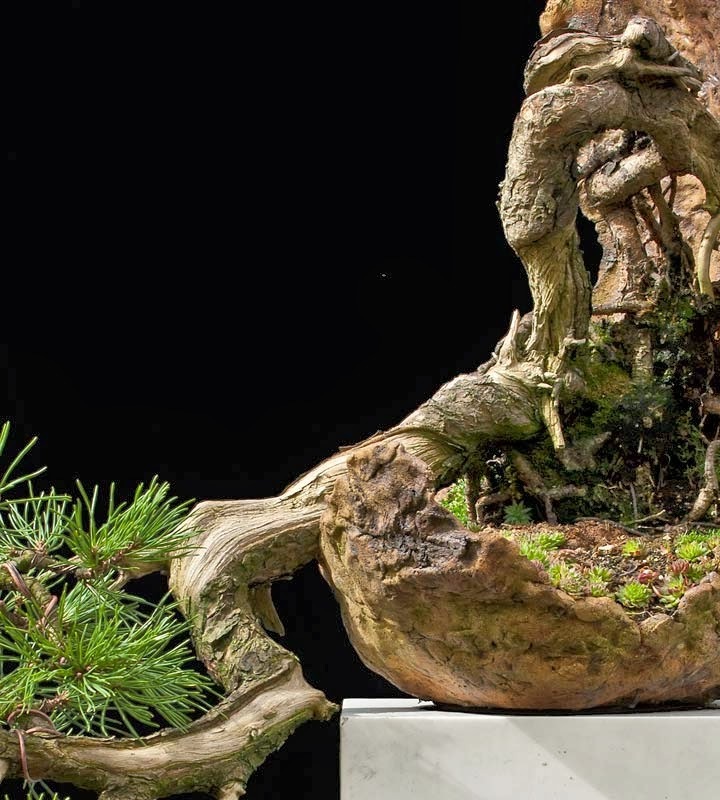 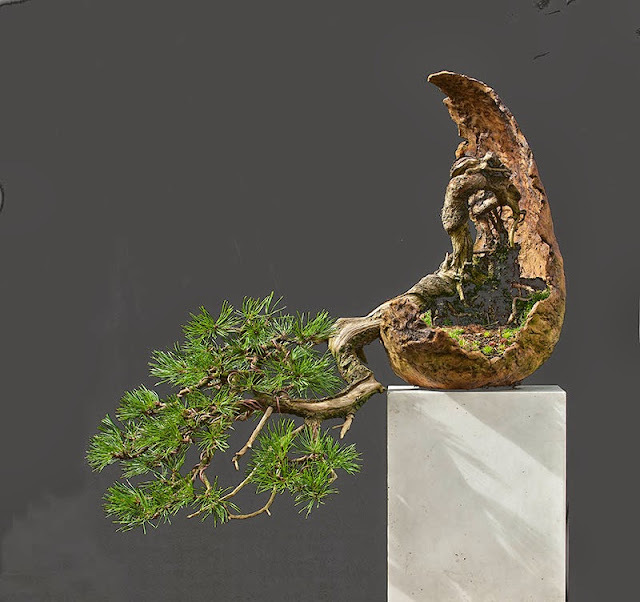 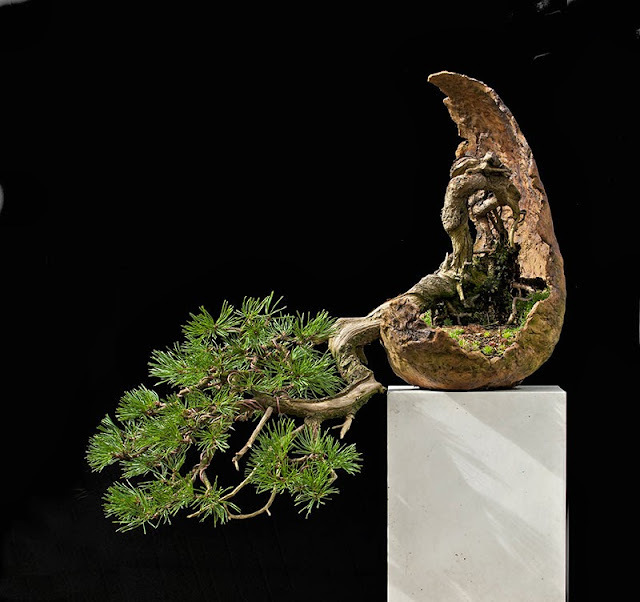 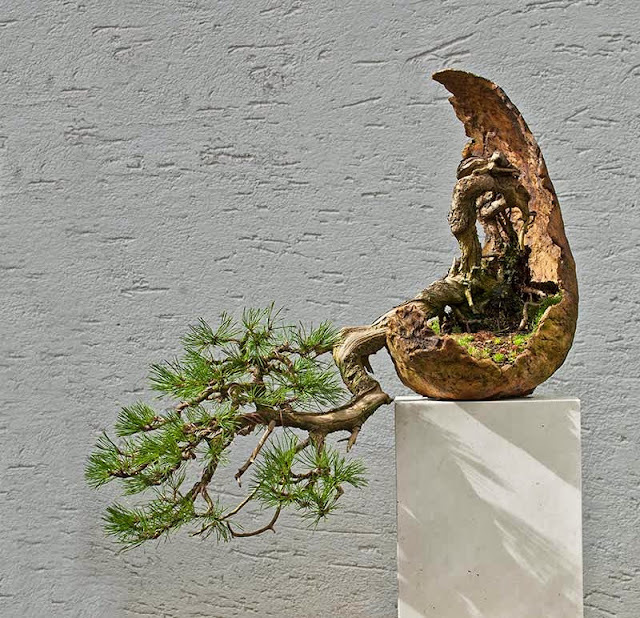 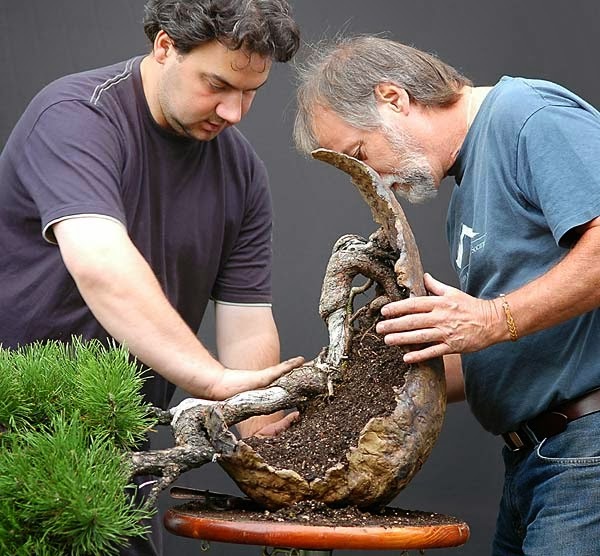 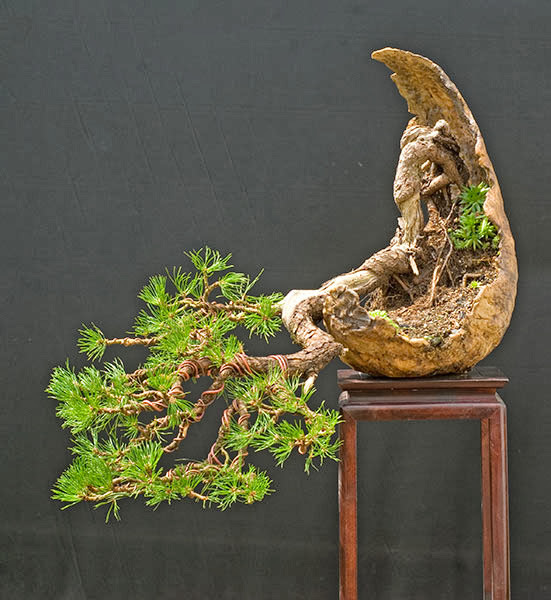 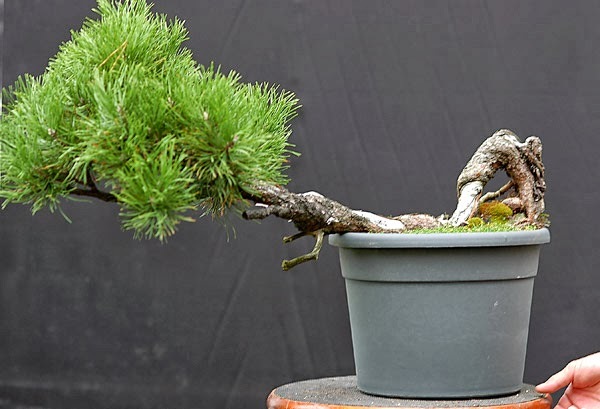 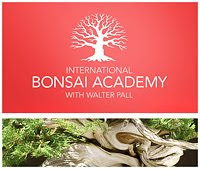 Mugo pine, Pinus mugo, collected in Switzerland in 2002, first image of 2004, pot by Bryan Albright. 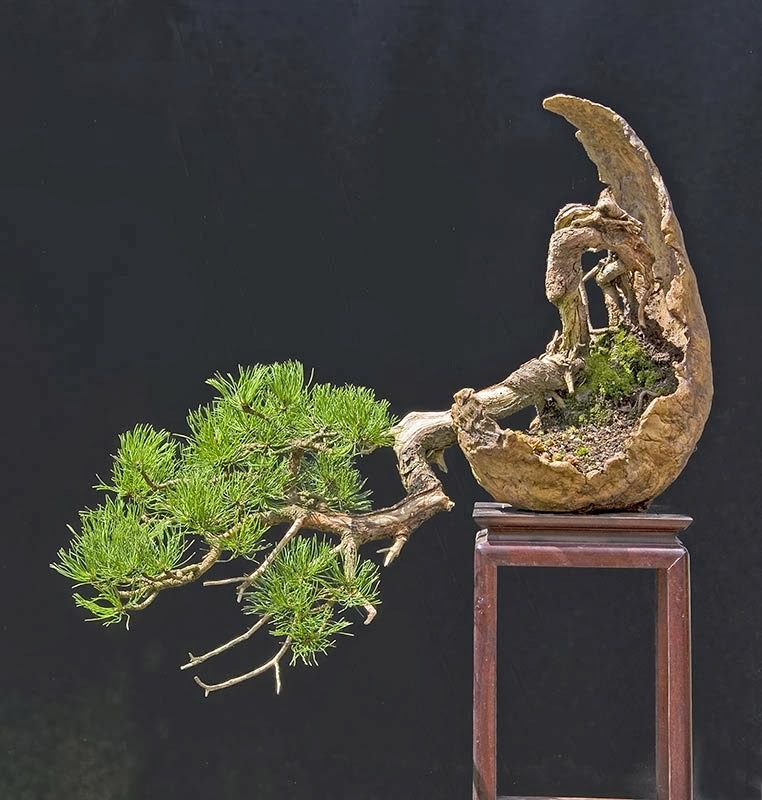 After the first styling the lowest branches died. 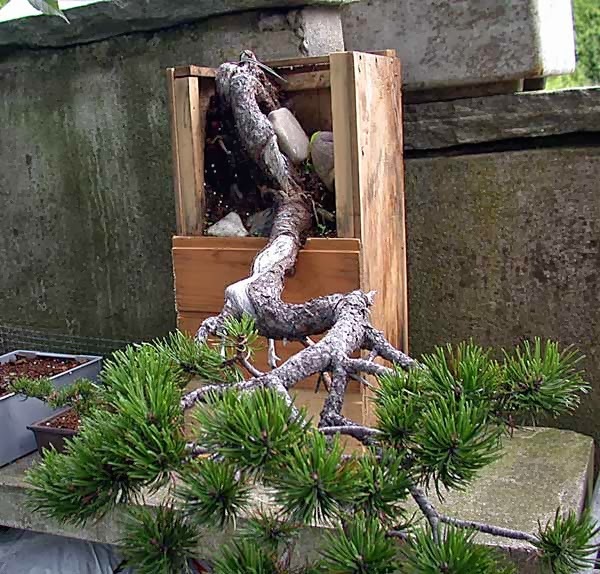 By now the tree has recovered well from this problem.